We offer a wide range of high quality O Ring Seal Straight Thread Connector to our valuable customers. These connectors offered by us are manufactured from high quality stainless steel, which is sourced from well known vendors. 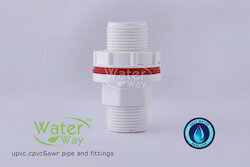 Available with us at highly affordable market prices, these connectors are commonly used for leak free connecting of two pipes. M-4 Thread Connectors for 5mm (Dia) Hole. They are used for panel thickness range from 29 mm to 39 mm. 100% rust proof quality. We deal in Full Threaded Connector. We have gained a huge appreciation in the market by offering an excellent array of SS Threaded Connector. We are a leading organization for providing Threaded Connectors to our customers. Furthermore, these are checked thoroughly before getting delivered at the destination of our clientele. Owing to vast experience of the industry, we are actively involved in offering a wide array of Series Magnetic Sensor to our customers at nominal market rates. Presented array of magnetic sensor is highly durable, rust proof and bear long service life. 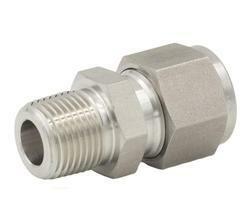 Backed with rich industrial experience, we are engaged in providing a broad array of Brass Threaded Connector. Entire range of products is checked on various parameters to ensure their flawlessness.